Adobe’s “Hidden Treasures” programme kicks off the typographic commemoration of the forthcoming centenary of the Bauhaus school by releasing four revivals based on lettering by Bauhaus staff. 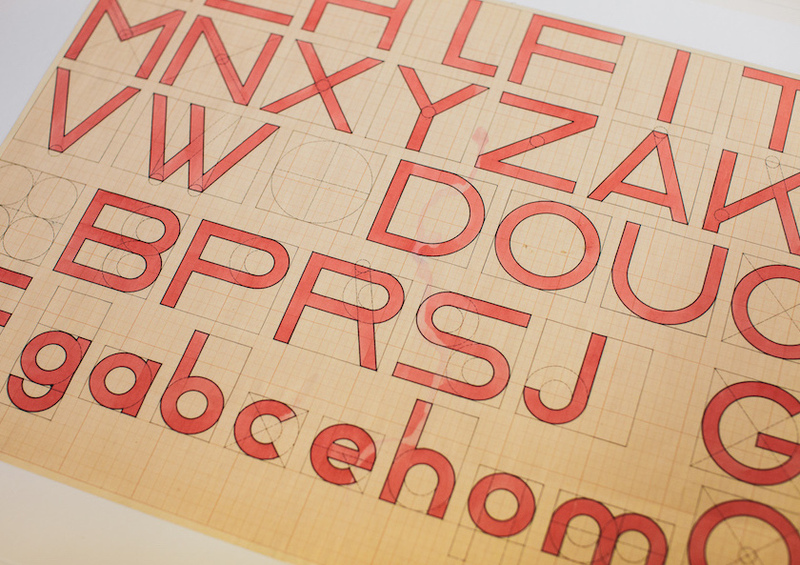 Drawing on original material in the archives of the Bauhaus Dessau Foundation, a group of current typeface design students were selected to work on digitising the original lettering, extrapolating the missing letterforms and characters to fill out the required character set, and adapt the designs for digital formats. The fast-paced project was led and supervised by Ferdinand Ulrich and Erik Spiekermann, and included in-person meetings in Berlin and Dessau, online collaboration, and a launch event in New York City. Each of the four typefaces were revived by a student from a typeface design course: Hidetaka Yamasaki, a current MA Typeface Design student, worked on lettering by Carl Marx; Céline Hurka from the KABK on letters by Alfred Arndt; Luca Pellegrini from the ECAL on lettering by Xanti Schawinsky; Elia Preuss from HGB Leipzig worked on letters by Reinhold Rossig; and Flavia Zimbardi on letters by Joost Schmidt. The typefaces are released gradually through Typekit’s subscription service to professionals using Adobe’s dominant suite of applications, and are a superb example of archival material inspiring contemporary design.